When your car starts costing you more money than it’s worth, it’s probably time to get a new one. You don’t necessarily have to get a new car, but it will definitely be new to you. You may be one of the lucky people who visit a dealership and the dealer doesn’t try to sell you everything that isn’t nailed to the floor. Unfortunately, you’d be one of the few. Most of the time, when you visit a dealership, the salesmen will swarm you and bombard you with pitches. That is especially true if you go without doing any homework first. Check their online inventory if they have a website and research their vehicles and prices. If the dealers see you walking around aimlessly just to “check out what they have,” then you will end up driving a 2018 Cadillac off the lot. If you go in prepared, then the salesman will be more helpful and you’ll have a much nicer experience. In fact, 64% of people believe customer experience is more important than price when it comes to making a purchase and used car salesman can be extremely helpful, but only if you go into it prepared. Nothing is set in stone and the sticker price doesn’t have to be the number you end up paying. Some dealers may be harder to negotiate with but everyone has a little wiggle room in the end. You’ve already given yourself a leg up by doing your research first, but there are a few more tactics you can use. The other thing that you want to do is keep a level head. Negotiations are business transactions and you can’t let your emotions get the best of you. 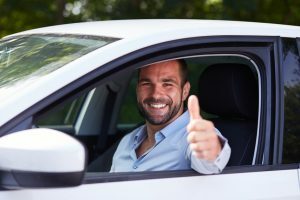 Typically, it takes about four hours to buy a car and while you may have your heart set on that particular vehicle, you need to be able to walk away if the price isn’t right. The U.S. has 300 million cars — more than any other country (China is at second with 78 million) so there are always other fish in the sea. Even if your current ride isn’t the ride you want to be driving anymore, that doesn’t mean that someone else won’t see it as their dream car. Many dealers will accept trade-ins that can significantly reduce the purchasing price of your new used car. However, you can also negotiate the value of your trade-in with your dealer. Use tools like Kelly Blue Book to get an estimate for the value of your car and let the dealer see what shape it’s in. You can end up negotiating both your trade-in and your final purchasing price for a great deal. Even if you know little to nothing about cars, you can always ask your mechanic for advice. There around 50 different types of diesel engines alone and nobody has time to read through the entire owner’s manual before making a purchase. Use every tool at your disposal when buying a used car and get the best deal possible.